Some patients wonder why it takes so long for their body to heal. The answer is simple. Your body has to rebuild everything! When you go to your mechanic with your car (yes, your car, when it is not working at factory specifications, gets symptoms!) they analyze the problem and usually get a new part, install it, and you go on your way. There is no parts bin for your vertebra. Your body has to rebuild everything! That is the reason for the amount of time it takes to restore function to your body. And here is another twist to the story. What if your mechanic had to work on your engine while it was running?! That is precisely what your body does. While you are using it day in and day out, when the brain and body are re-connected with chiropractic care, your body is healing the faulty parts. Sure, it would be nice to do nothing while your body heals. Know anybody like that? Probably not. So this is why your body takes time to heal. It is an incredible structure that requires correction, restoration and then maintenance. Has it been a while since your last chiropractic tune-up? If yes, contact us today to book an appointment. 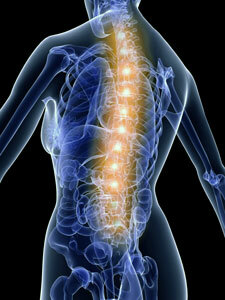 By coming in for regular adjustments, you can maintain a healthy spine and enjoy overall better health too!